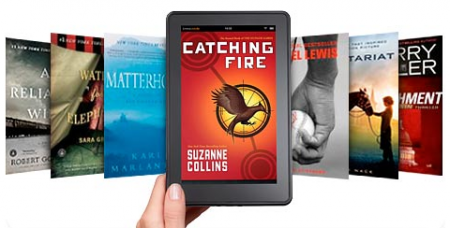 Do you enjoy listening to books in the car or on your mobile device? If so, try loading up some audiobooks from your reading list on your mp3 player or smart phone? I don’t know about you, but I get bored when I am commuting or exercising. Life would not be the same without my little mp3 player. I load it up with music and audio books to keep me entertained when I’m on the move. 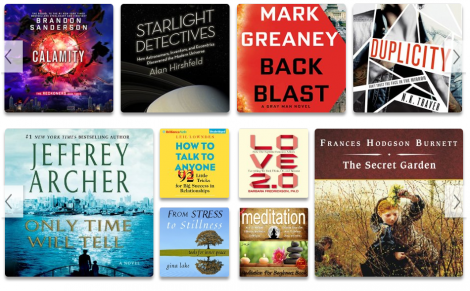 Click here to try Audible for Free for 30 days and get a Free Audiobook of your choice! ($29.99 Value). Pretty cool! Enjoy all the Best Sellers, such as Fifty Shades of Gray, Harry Potter, Hungry Games, Hobbit, The 7 habits of Highly Effective People, etc. What book will you choose? Enter Payment info to start membership. NOTE: You will NOT be charged within the trial period. They just do this to get your account any time. If you don’t want to be charged, make sure to mark your calendars and cancel the auto renewal before the 30 days are up. Click here to sign up and claim your FREE Audiobook now. We have another great deal for mamas out there! Grab a Free Nursing Cover ($40 value) from UdderCovers.com. To claim your freebie, use the promo code FREECOVER4MOM. Paying for shipping of just $11.95 is, I think, better deal than purchasing plain nursing covers ($30 value) from other shopping sites like Amazon. You can browse over their classy selections of nursing covers if you wish to add more to your order. You have the option to add embroidery for a small additional charge. Again use the promo code FREECOVER4MOM when checking out to get $40 taken off from the total. Head over to the Godiva website and sign up to become a Godiva Chocolate Rewards Club Member and each month you can go into an official Godiva store to receive a Free Godiva Chocolate. Enjoy other Member Benefits such as: Spend $20 and receive a free gift the following month, get free standard shipping for one online order, receive exclusive member only offers every month, and new product announcements. Now that’s a cool rewards program. 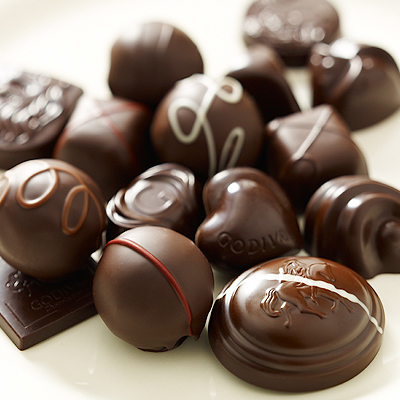 So Sign Up today and get some Free Godiva Chocolate. 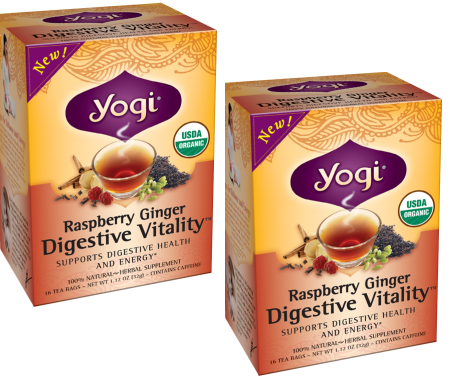 Send a personalized message and 2 Free Samples of Yogi Tea to a friend and brighten their day. 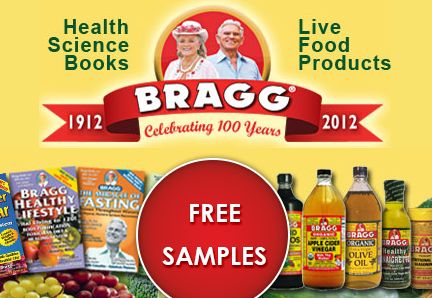 Just visit their page to request your sample. Hurry! 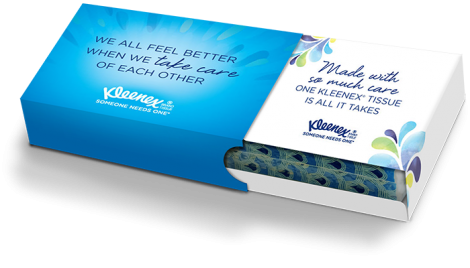 Send your friends a FREE Personalized Kleenex Care Pack! Click here to visit the page and select the message you want to share, and send this Free Sample Pack to up to 10 friends, awesome! Please allow up to four weeks for delivery. You can get a Free Magazine Subscription once you sign up to RewardsSurvey and complete the short media surveys. Submitting the completed survey form will let you earn $20 in Reward Points, which you can use to get your Free Magazine Subscription. For every friend you refer, you will earn additional $3 in Rewards Points. The selection for the Free Magazine includes Self, Vogue, Men’s Fitness, Martha Stewart Living, and more. Right now you can score a Free Seven Brand Baby Carrier ($48 Value) when you use the Promo Code ENBABY at checkout – it will remove $48 from your total! You just need to pay shipping which is $12.80 for 2-8 day. These carriers are normally priced at $48 each and we’ve found that you can use this promo code more than once just by opening a new browser window. This won’t last very long, order yours now. 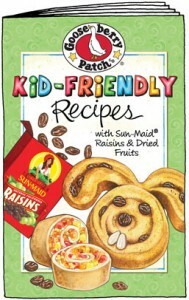 Get a free kid friendly Gooseberry Patch Recipe Booklet for just a limited time from Sunmaid! They will send it to you just simply click on “Order FREE Booklet Online” or you can download it by clicking “Download FREE Booklet Now”. From the site: This handy cookbook features 30 family friendly recipes, along with plenty of tips and easy ideas for getting kids to try new foods. Your family’s new favorites are inside.